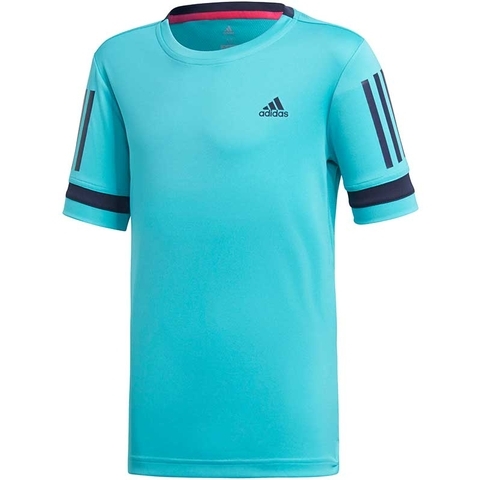 This junior boys' tennis t-shirt helps keep you cool during the most explosive play. Using breathable and quick-dry fabrics, Climacool battles the heat to leave you cool, dry and in complete control of your game. This standout tee includes a droptail hem and 3-Stripes on the sleeves. Crewneck with contrast ribbing on back neck. 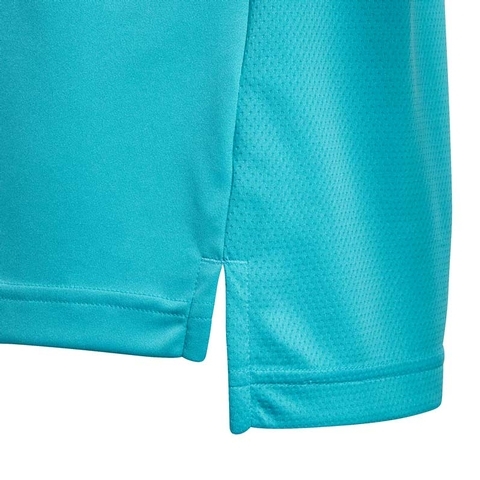 Engineered mesh panels on back and underarms for breathable comfort. 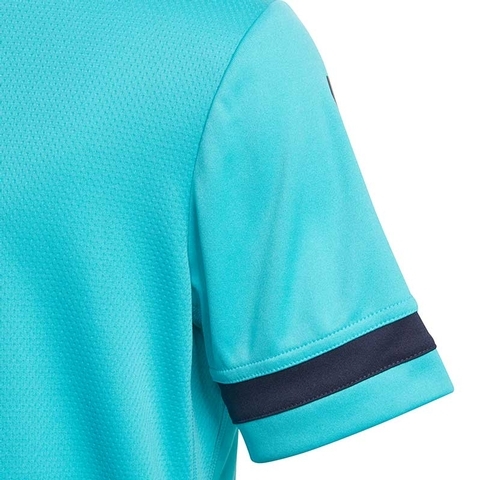 Two-tone sleeve hems. Side slits on droptail hem. 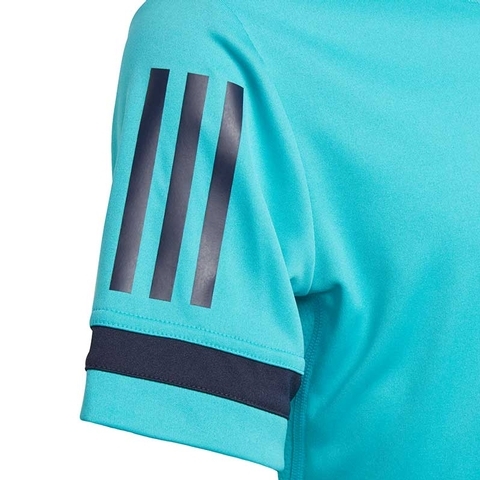 3-Stripes on sleeves; adidas Badge of Sport on chest.